Stoke win 4-2 on penalties. West Ham United scored two late penalties to beat Championship leaders Burnley 2-0 in the Capital One Cup. At the other end Sean Dyche's men almost got their reward before the interval. 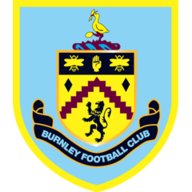 Kieran Trippier's cross was met by Sam Vokes' head and although he planted his effort against the post, the assistant referee's flag brought a halt to proceedings. Sensing the need for extra invention, Allardyce replaced Mohamed Diame with Collison for the restart but he must have felt deflated when debutant Pelly Ruddock's wild effort was dragged out for a throw. 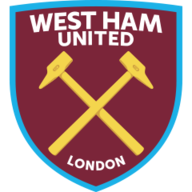 They were beginning to finally show some attacking intent, though, and had the ball in the net, only to be denied by the offside flag, as Joe Cole stopped Modibo Maiga's pot-shot before dispatching a neat overhead kick. A tense cup tie suddenly sparked into life, Keith Treacy's well-struck volley just failing to stay low enough to trouble Adrian. As the visitors tried to force extra-time, Collison sprung on the break and was hauled down by Treacy, with the winger being sent off, before the Welsh midfielder himself stroked home the penalty to hand Dyche's men their first defeat since August.